Every year, I try to read a handful of books I might not normally read. These aren’t books that are “out of my comfort zone” like zombie apocalypse, vampire YA stuff… but books that can expand my reach and reading experience. 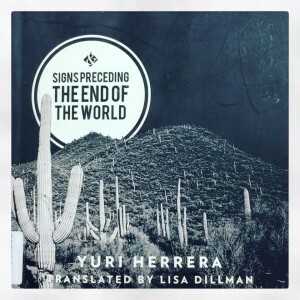 Signs Preceding the End of the World by Yuri Herrera is the perfect kind of book to do this. 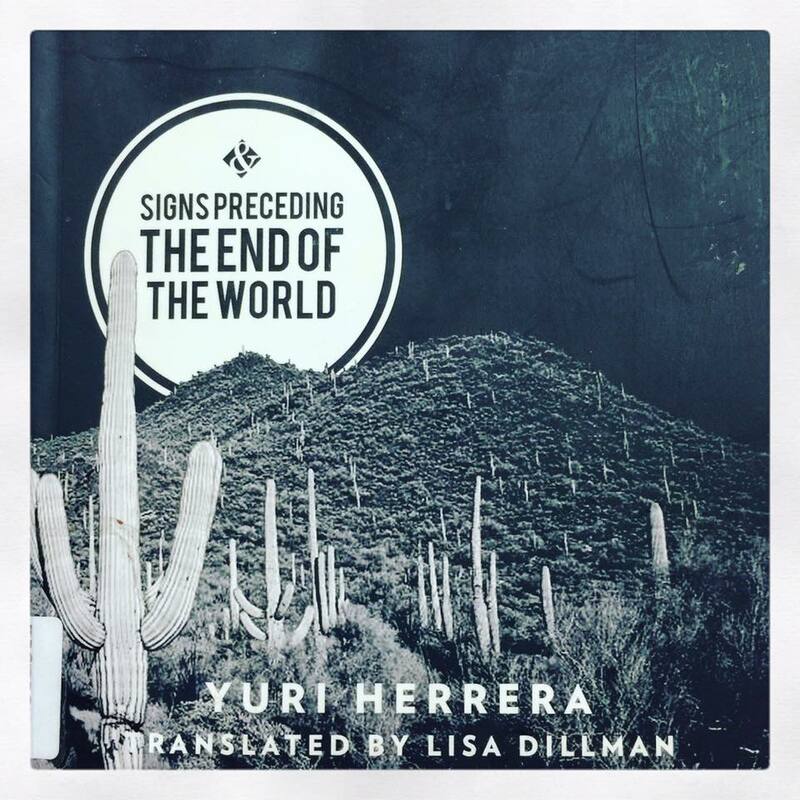 Signs, written in Herrera’s native Spanish and translated by Lisa Dillman, tells the story of Makina, a young Mexican woman making the dangerous trek across the U.S./Mexican Border to deliver an unmarked package and find her brother. Marina’s brother crossed over a year ago, with the sketchy promise of land acquisition. In just 107 pages, Herrara give us a glimpse into a world many of us don’t know, but may talk–or even argue–a lot about. It’s a world of many unknowns and uncertainties; and one that delivers a solemn punch about the realities of how humans choose to treat one another. This sounds very interesting and I am going to look for it soon. I like to look for different things, timely and nontechnical. I am behind in seeking newish writers, but a friend recommended some Tana French books and I am ,just finishing “In the Woods” a Dublin, Ireland crime story . Her writing in various places is quite poetic reminding me of Margaret Atwood. Couldn’t comment on your Best of 2015 list but you’ve motivated me to finally get mine done, and to find my copy of A Man Called Ove!